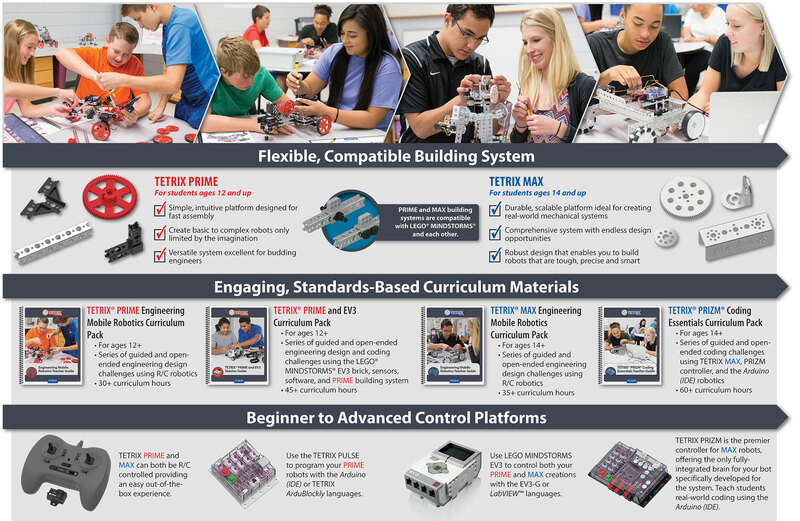 Whether you are teaching STEM concepts in the classroom or engineering a robot to beat the competition, TETRIX® Building Systems help you reach your goals. 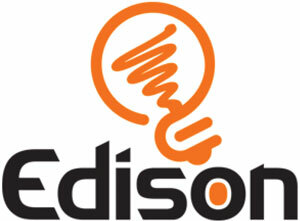 These systems include TETRIX® PRIME and TETRIX® MAX, which work individually and together. 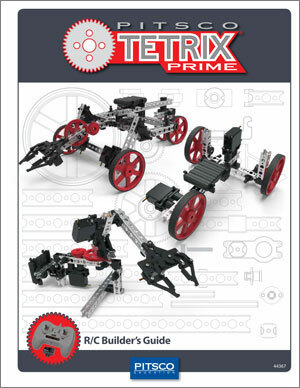 The TETRIX PRIME robotics system offers a great entry into teaching and learning through robotics and its simple and intuitive design enables robotic creations to come to life quickly and easily, meaning your middle school students can focus more on problem-solving and applying STEM knowledge. 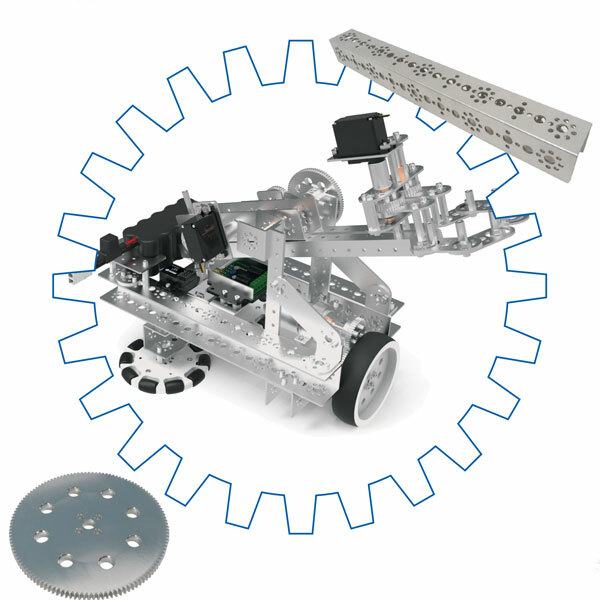 Discover how you can deliver outstanding STEM lessons with TETRIX PRIME robotics. 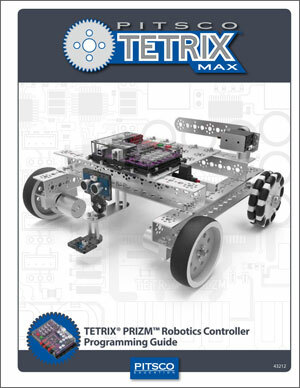 The TETRIX PRIME system delivers a comprehensive educational robotics solution that combines an age-appropriate metal building system, programmable PULSE controller, and free TETRIX Ardublockly software along with getting started video tutorials and support materials. 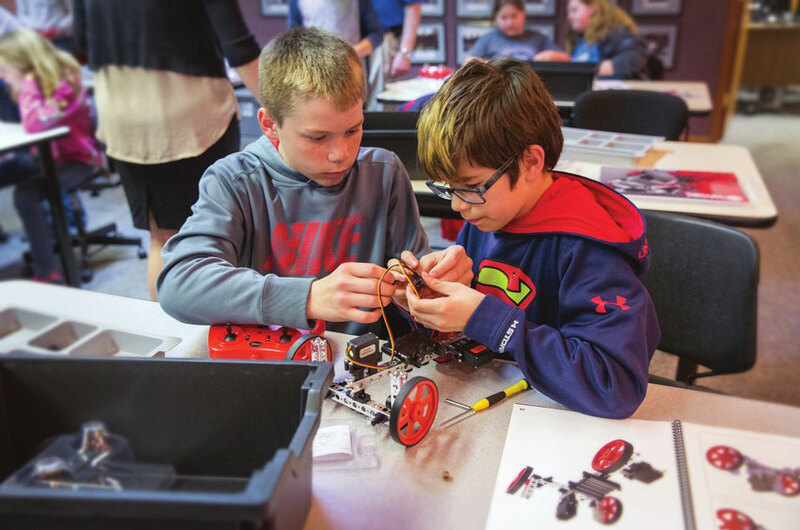 TETRIX understands that starting or adding to a robotics program can be a daunting task. 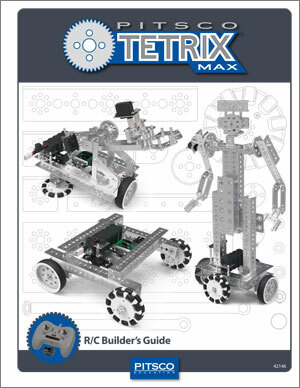 To help you out, TETRIX have compiled a great list of resources including PRIME robotics set details and videos, introductory programming tutorials, and a FREE guide to getting started with robotics in 10 easy steps. With TETRIX PRIME you'll be building, driving, coding, testing, iterating, learning, and loving robots in no time. TETRIX have a whole new way for you to control your PRIME creations and believe us, it won't be beat. TETRIX PULSE is the only proprietary robotics controller created specifically for the TETRIX PRIME Building System. PULSE is the heart and brain of PRIME robots and comes equipped with servo, motor, and sensor control built right in. Simply add PULSE to your current PRIME investment and breathe new life into your robotics lessons. Want to know more? 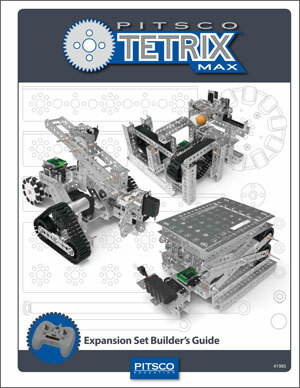 Take a look at the controller specs, an educator review, introductory programming videos, and a never-before-seen TETRIX PRIME-plus-PULSE robot with downloadable building instructions. The introduction of the TETRIX® PRIZM™ Robotics Controller means there is two new classroom-friendly options for getting started with TETRIX®. Now, you can choose to create remote- and autonomous-controlled robots – or both! Already a TETRIX® MAX user? Check out the stand-alone option for adding the new PRIZM™ Controller to your existing collection. The TETRIX® PRIZM™ Robotics Controller is a fully integrated, programmable brain for your bot that features a variety of motor, servo, encoder, and sensor ports with convenient connectors that enable you to control your robot’s behaviour like never before. This controller offers the best of both worlds – a learning tool that is powerful yet easy to use. With PRIZM™ you can take learning to new heights by creating robots that are smarter, more precise, and as real world as it gets. 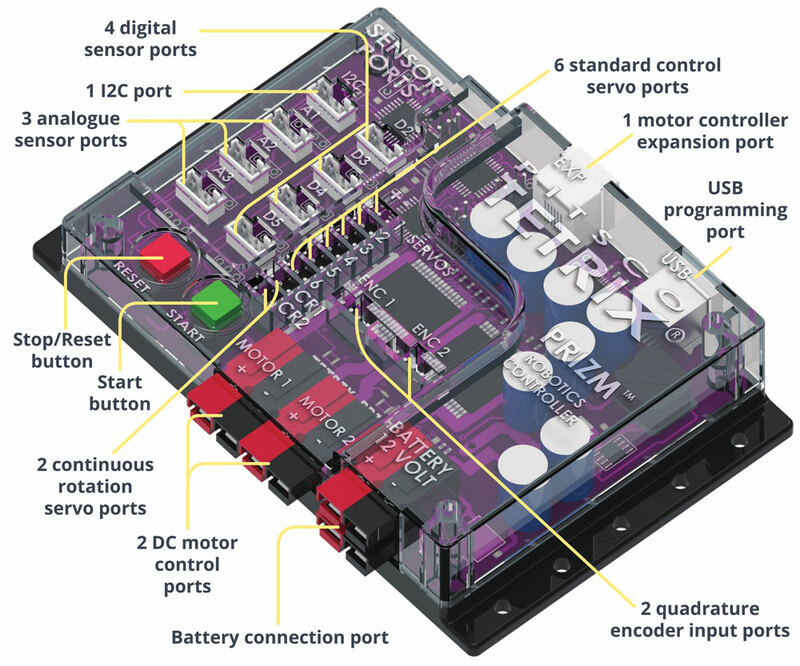 The Controller is specifically developed for use with the TETRIX® MAX Building System and comes with programming support for the Arduino Software (IDE), which is compatible with Windows, Mac OS X 10.7 or newer, and Linux devices that have a USB port. • 32KB flash programmable memory. • ATmega328P processor with Arduino Optiboot bootloader installed. 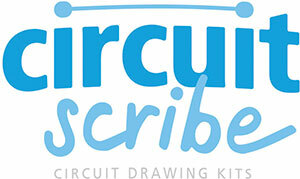 • Comes with USB cable, power switch, motor cables, and a Quick-Start Guide. • Affordable – sets can be used year after year with teams of up to four students, and numerous builds can be constructed with just the PRIME Robotics Set. • Simple – easy building and disassembling of a prototype in a single class period. • Versatile – excellent for engineering – quickly test and perform multiple design iterations. • Compatible – with TETRIX® MAX elements – congruent hole patterns and fasteners ensure true integration of elements. 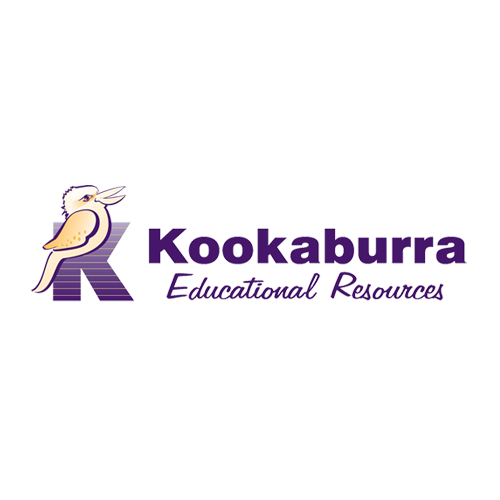 • Empowering – ability to integrate with multiple control systems, allows your students to grow as their capabilities do. • Comprehensive – there are more than 100 elements to choose from, and several builds can be constructed with just the MAX Robotics Set. • Robust – ideal for student competitions – durable for large-scale robots and provides secure connections. • Quality – the robot building system of choice for the FIRST® Tech Challenge. • Compatible – with TETRIX® PRIME elements – congruent hole patterns and fasteners ensure true integration of elements. • Transformational – use real-world tools to learn and apply the engineering design process while boosting problem-solving and critical-thinking skills. 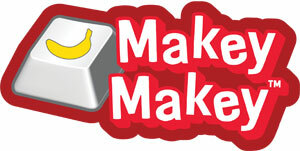 Both sets include the needed assembly tools and a builder’s guide to give students a confident start. 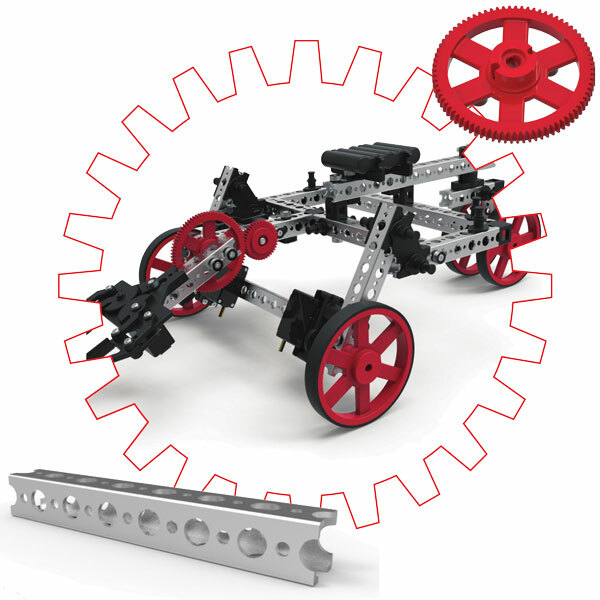 Compatible with LEGO® Technic elements. R/C setup gets robots moving right out of the box – or TETRIX® robots can be controlled by a variety of devices such as PRIZM™, LEGO®; MINDSTORMS® EV3 or NXT, National Instruments myRIO, Arduino and more. TETRIX® Short Promo - Where it all started!